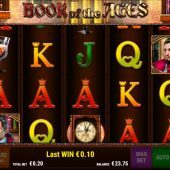 The vampire-themed Book of the Ages slot has 10 fixed paylines over 5 reels and 3 rows. This game's Theoretical return to player (RTP) is 95.95% and it has medium to high volatility, something very typical of this developer. By triggering the bonus feature within this game you can activate 10 free spins with extra winning opportunities available. 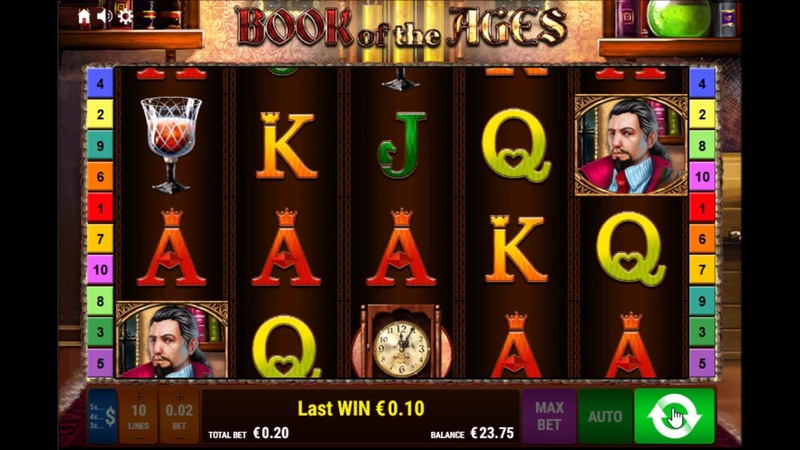 Book of the Ages is a Merkur game and is available online via PC, tablet and mobile. If you like vampire or gothic slots then you may also like to try Microgaming's Immortal Romance or Ash Gaming's Full Moon Fortunes which both offer some large winning possibilities.